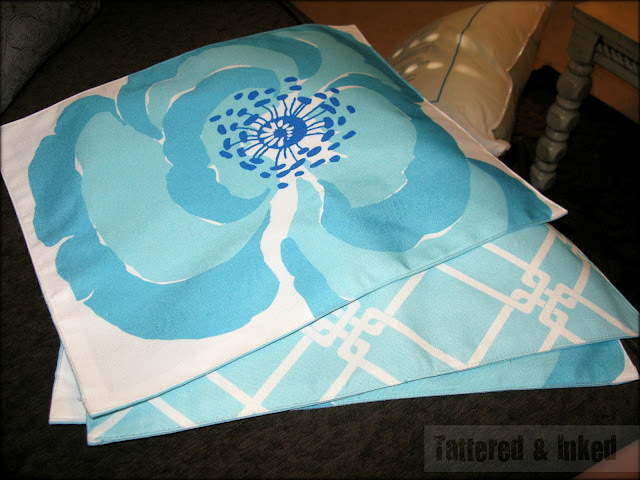 Tattered and Inked: Placemat Pillows are baaaack! I mean, are there really any cheaper, more awesome pillows out there than placemat pillows?? I've shared a couple tutorials for some seasonal placemat pillows here and here with you guys. But I love these guys even MORE because I can keep them out all. year. long . I scored on some cheap blue and white placemats at Target last spring and about hopped up and down in the aisle when I saw them. I found them when they were being clearanced so I snatched up three of those babies. They only had one of my favorite print- the trellis design but I snagged two of the flower ones. Because three is always the perfect number, right? I filled them the same way I did my other two sets of pillows. Just ripped open a seam on the side, stuffed the pillow stuffing in and then sewed it closed. And they may or may not have been scrubbed several times already when sticky hands get a hold of them. Here they are hanging out in the living room I've been posting about all week. If you missed it's transformation, check those posts out here and here. 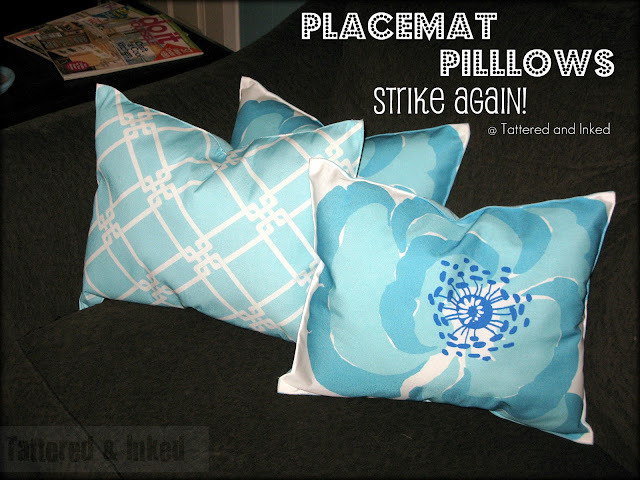 So do you love placemat pillows as much as I do? Cuz I know I am! I am in LOVE with this idea!! I have to make some myself now! thanks for sharing! The room looks beautiful! I'm always looking for placemats, but never find any I really like. Your pillows turned out super! Visiting from Days of Chalk and Chocolate's Linky Party. 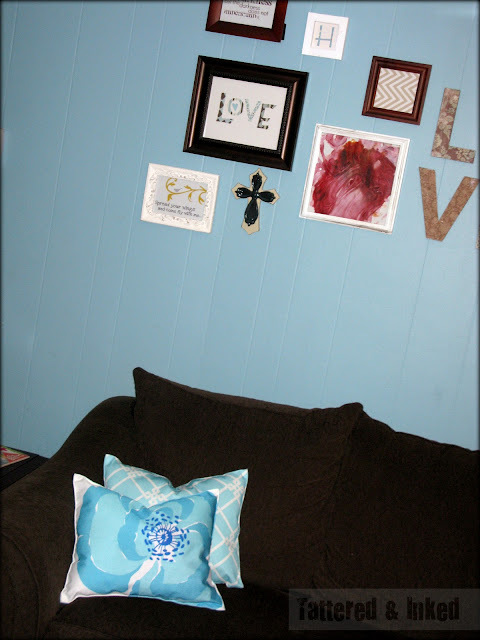 LOVE these pillows and your decor. I'm now following. FANTASTIC! LOVE!!! Placemat pillows are so fun to make. Yours turned out WAY cute! 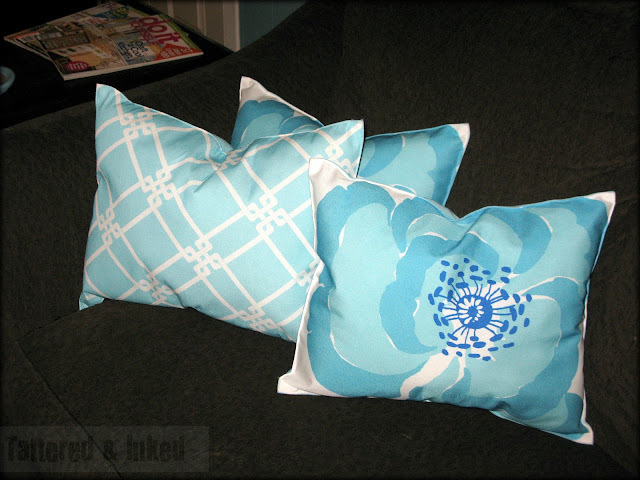 Looks like I must just LOVE your stuff- just clicked on these poppin pillows and back to Tattered and Ink it brought me! ;) I will have to follow you because I seem to love your goods! Love those pillows! Thanks for sharing! Hey! I have that pillow design on my plates! :) Too funny! They look amazing! 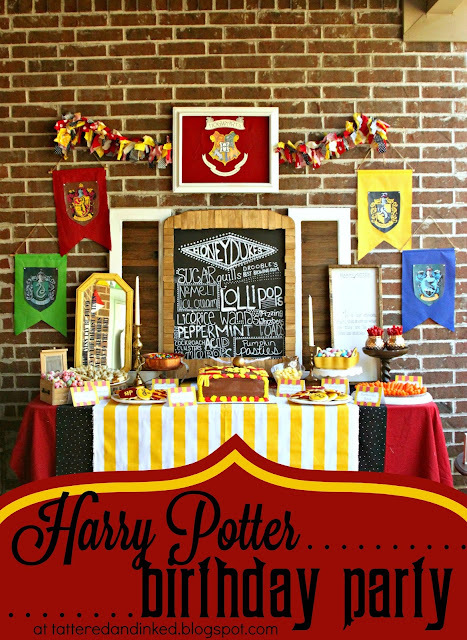 Thanks so much for linking up to Sassy Sites for our Friday ffa party! Have a fabulous weekend! Great place mat choices! Love them! Girl, I need to start shopping at Target for placemats! These turned out SO cute!! 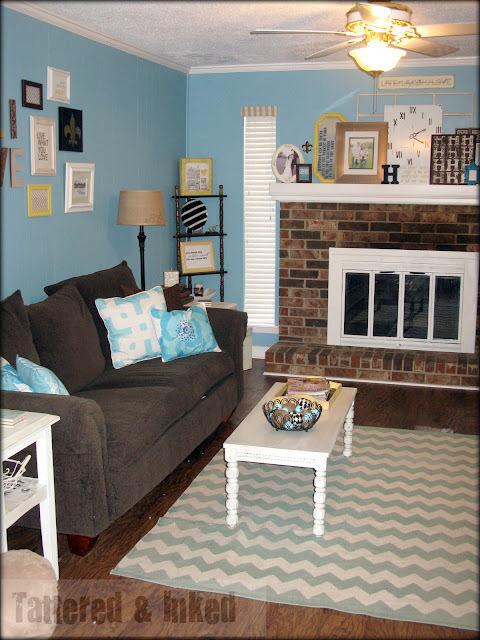 I really love the blue you used in your living room! They are SO back! I love the bright colors--they go perfect with your room! Ha Ha! I made the same exact pillows for my screen porch this summer! Love those Pillows! And Yep-- I would be skipping as well- nice find! !